Smart Contract, also called as self-executing contract, blockchain contract or digital contract, is a set of instructions that automatically performs the obligations under the agreement, which parties have committed to. By being immutable and cryptographically secure, Smart Contract gives us the security of Blockchain Technology, that is, it provides distributed trustworthy calculations. Smart Contracts help us perform business agreement in a transparent, conflict-free environment by avoiding the services of a middleman. It defines the rules and penalties of the agreement, like a traditional contract, but it enforces the obligations of the agreement automatically. This automated execution is at the heart of a smart contract. Insurance Policies, Copyrighted Content, Financial Data Recording, Trade Finance are just some of the examples where blockchain based smart contracts are being used. The concerned parties come together to decide the business process and the desired outcome. The rules and penalties around the agreement are identified. These parameters become a part of smart contract . The code is written in a computer language, which performs the conditions of the agreement automatically. Smart contracts are encrypted to provide secure authentication and messages between the parties relating to smart contract. After consensus is reached on authentication and verification, the smart contract is written to a block and code is executed. Once the smart contract is executed, all computers in the network update their ledgers to reflect the new state. The records written to the blockchain cannot be altered. Read More : Understanding Smart Contracts – What, What Not and Why? In the current scenario of insurance policies, the claims process take weeks or even months to be paid. The process is completely manual and requires a lot of human effort. This adds up to a lot of administrative costs, which result in higher premiums for customers. These challenges can be overcome if insurance companies automate their insurance policies by writing them into a smart contract. In this scenario, the claims process is triggered immediately when the input condition of a smart contract is changed in an insured event. Parameters such as wind speed, hurricane location, earthquake’s magnitude can be recorded onto a blockchain. When these parameters cross certain pre-agreed thresholds, the claims process is triggered automatically and the exact amount of financial payout is delivered without need for any third party intervention. Not only does the smart contract reduce the administrative costs associated with fulfilling such policies, but transparency and trust in the process is visible to all stakeholders and all regulatory bodies. This is possible because of the distributed nature of the smart contracts on the blockchain. Sofocle Blockchain Solutions powered sofoSmart is a do-it-yourself Smart Contracts Development Platform. 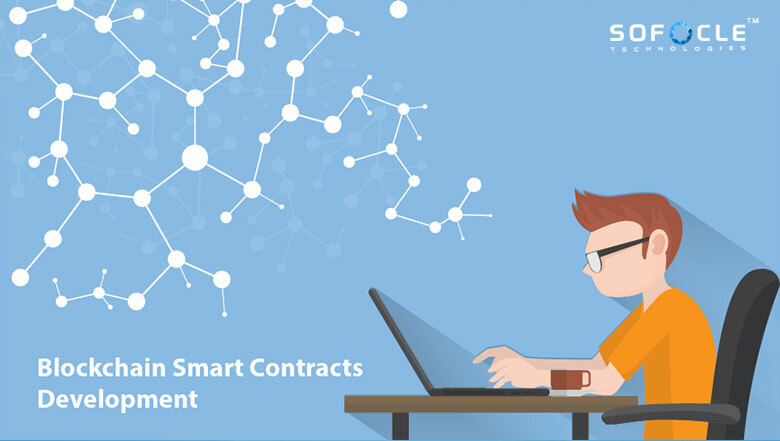 You can utilize our platform to create Smart Contracts as per your business requirement, without the need for coding. Save and deploy your Smart Contracts from wherever you are.